The Martinsville Candy Kitchen is kicking off a year-long celebration that will culminate in their 100th anniversary in business - a whole century spent on Main Street in downtown Martinsville! The candy shop is a favorite among locals and visitors, serving up hand-pulled candy canes, chocolates and other sweet treats. 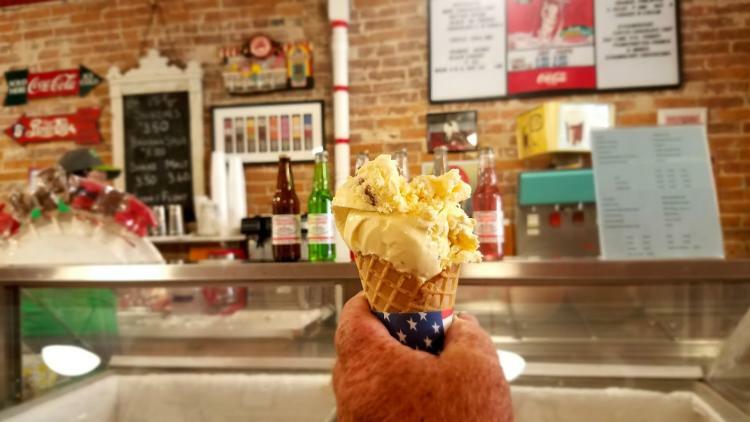 Also a popular summer hang out, the Candy Kitchen boasts several flavors of hand dipped ice cream, plus old fashioned cherry and vanilla cokes! The iconic candy store was founded in 1919 by Greek immigrant Jimmy Zapapas. Jimmy&apos;s cousin, who sponsored his immigration to the United States, owned a similar store in Franklin at the time. Both men apprenticed with a candy maker in St. Louis, MO before settling in Indiana. 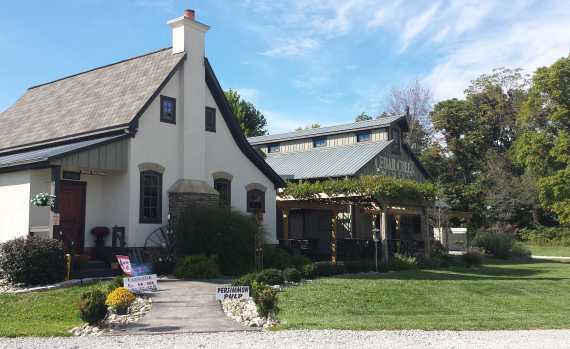 Current owners, John and Pam Badger, will also celebrate 15 years as owners of the store in April, 2019. They purchased the business out of love in 2004, to keep the community icon from closing its doors. They are the sixth owners in the store&apos;s history (though, Jimmy Zapapas actually sold, then bought it back - twice!). It&apos;s a family affair. 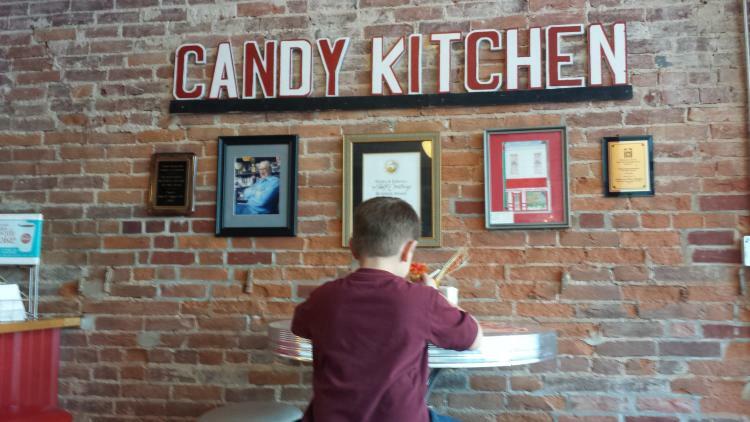 It truly doesn&apos;t get more family-owned and operated than this - on any given day at the Candy Kitchen, you may be served by the owners, John&apos;s mother Agnes, their son (also John), or even a niece or nephew! Candy canes are made each year in November and December leading up to Christmas... and also for Valentine&apos;s Day (hearts), St. Patrick&apos;s Day (clovers), the 4th of July (red white and blue sticks), as well as whenever the store needs re-stocked. Follow their Facebook page for candy pour times throughout the year. 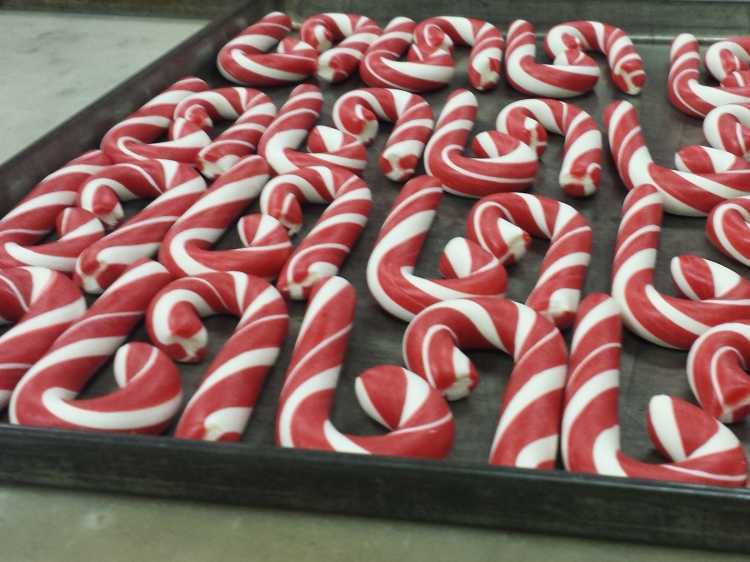 Candy Canes can be custom ordered in any color and flavor combination you prefer for special events or gifts. They&apos;re a very popular local wedding favor! 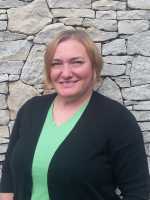 The store has been in three different locations over the years, but all have been within a single block of Main Street in downtown Martinsville. The original location was only one door to the left of where the store is located today. It was also located a few doors to the right for a time. 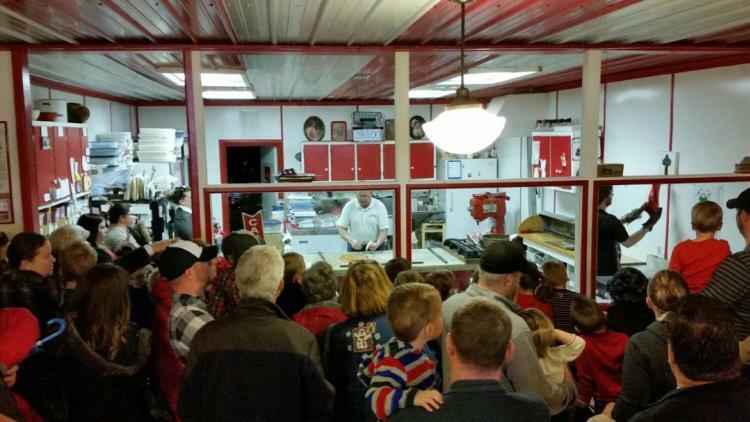 For the Badger&apos;s 10th anniversary as owners of the store, they created a 10 foot long candy cane. Rumor is they plan to attempt a 15 foot long cane in April of 2019 for their 15th anniversary! The store&apos;s large interior window separates the actual kitchen from the retail area and creates a perfect opportunity to watch the magic as molten sugar becomes solid candy. John often relays the store&apos;s history to visitors as he works the molten candy on the antique marble table. It&apos;s a year-long celebration! No matter when you stop in to help celebrate, beginning in April 2018, there will be a weekly candy special, plus at the beginning of each month there will be a special "throwback" batch of candy canes made that will be sold at 1919 prices! 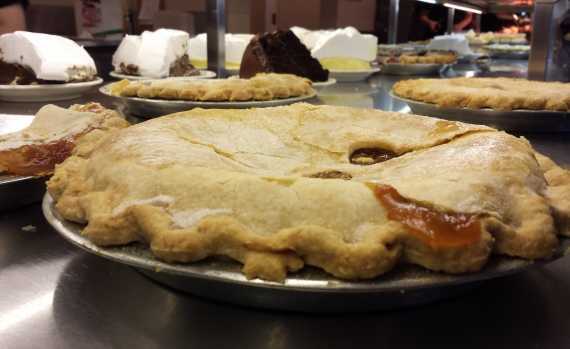 A different flavor will be featured each month, chosen by customers on their Facebook page.